And yet, on such a big campus, it can seem daunting for a new student (even a returning student), to find that home. That's why it's important to encourage your student to get involved. One of the best places for them to start is right at their door: the friends they meet in their residence hall can become an invaluable support group, to laugh with, to study with, to figure things out and compare notes. 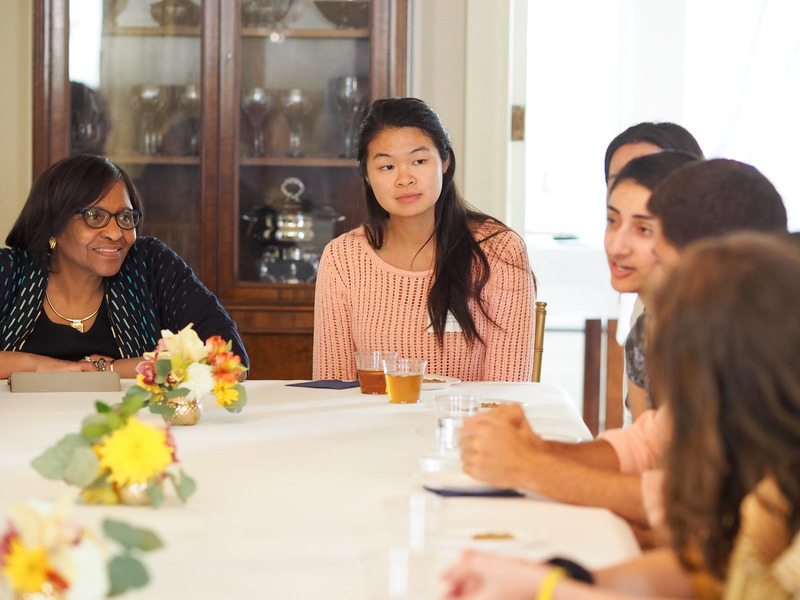 Often the shared experience of living side-by-side in a hall means students from diverse backgrounds and academic interests can bond together. And your student's resident advisor (RA) is an upper-level student who's special mission is help your student make these connections. Student-led organizations can also play an important role in your student’s success. Getting involved helps them meet new people and find a supportive community, identify new passions, and learn valuable skills they’ll use in college and beyond. A great way for your student to learn about opportunities for involvement is to browse through Festifall or Northfest, campus organization fairs in early September. You'll find in this newsletter too a great introduction to how students find their organizations, with the help of the Center for Campus Involvement. The Office of Greek Life at U-M offers interested students a way to forge lifelong friendships, develop leadership skills, and build community within the larger University. Nearly 6,000 students (roughly a quarter of U-M undergrads) take part in these social and philanthropic organizations. Many of these organizations begin recruiting membership early in the Fall. There are also a multitude of service opportunities available for students who want to be active and engaged. A great place to start is the Edward Ginsberg Center for Community Service and Learning, which acts as a campus hub for volunteer and community-engaged learning opportunities, service, and social justice focused workshops and leadership development. Many students find their place on campus through the Ginsberg Center. While being under your roof will always mean "home" to them, your student can also find another special home here in Ann Arbor, with people who support and inspire them. Remind your student of what's out there. We're ready to welcome them.